Summer may not be here yet, but for homeowners in our area, summer is practically all year long. 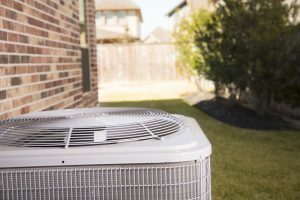 This means your air conditioner goes through a lot of work, and you should be keeping a close eye on the operation of this system to make sure no problems arise. After even just a few times using your cooling system, you’re probably used to the sounds it makes during operation. If your cooling system suddenly begins making strange noises while in operation, this should be a big sign that you should call for repairs ASAP. Unusual noises may mean a number of different problems, depending on the noise. For instance, hissing or bubbling noises may mean that you have air bubbles in your refrigerant line. This means you probably have a refrigerant leak somewhere. Grinding noises indicate that your air conditioner’s air handler is experiencing more friction than it should, which may mean that the bearings in the air handler motor are failing, and need to be replaced. You should have this looked at right away, before your motor overheats and burns out. These are just a few examples of noises that matter. This is one of the first warning signs that your air conditioner is experiencing trouble. Just like the warning sign above, this can manifest in different ways and can have various causes. Is your AC system still blowing air, but it’s just not as cold? You could have a refrigerant leak depriving the system of its output capacity. Or maybe your air conditioner isn’t circulating as much air at all? This may be due to a clogged air filter. Check this first, and change the air filter if it’s dirty. If that doesn’t solve the problem, you may have an issue with the air handler. Regardless, low output is not a good sign, and you should have a pro check your AC out as soon as you can. If your AC system is turning on and off every few minutes, you should have it repaired as quickly as possible. This behavior is called short-cycling, and it dramatically increases the amount of wear and tear that the system suffers. Short cycling also lowers the amount of output the system is capable of generating, and shortens its lifespan. Make sure you have your system checked if you notice it doing this. For quality air conditioning repair in Ft. Lauderdale, FL, contact Envirotech Air Quality Services today!